Tokyo, December 17, 2015 – Fuji Heavy Industries Ltd. (FHI), the manufacturer of Subaru automobiles, today announced that the Subaru XV*1 and Impreza*1, equipped with Subaru’s unique “EyeSight” driver assist system, have received the top rating of Advanced Safety Vehicle-Plus (ASV+) in the Japan New Car Assessment Program (JNCAP) preventive safety performance assessment conducted by the Ministry of Land, Infrastructure, Transport (MLIT) and the National Agency for Automotive Safety & Victims’ Aid (NASVA). From this fiscal year, the JNCAP preventive safety performance assessment involves rear visibility test for capability evaluation of displays that provide the driver with information captured by rear-facing cameras in addition to testing two systems, the Autonomous Emergency Braking System (AEBS)*2 and the Lane Departure Warning System (LDWS). 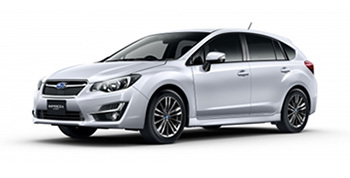 The Subaru XV and Impreza each achieved the ASV+ rating with the highest possible score of 46 points. The Subaru XV Hybrid*3 and Impreza Sport Hybrid*3 achieved the ASV+ ratings with a score of 45.3 points.